Choose the software by the factors. If you don't find the software you need, contact us. Low cost bench top robot arms – swift, accurate, easy to program – within reach financially and technically. ST Robotics aims to provide robots that are affordable, easy to set up and use and easily programmed by any individual regardless of experience. Their robotics with high intelligence finds them niches in the most complex tasks but they are easy to apply to any application from machine feeding to laboratory sample handling. ST robots will do most of what their big brothers will do, much that they can’t do and at a fraction of the price. 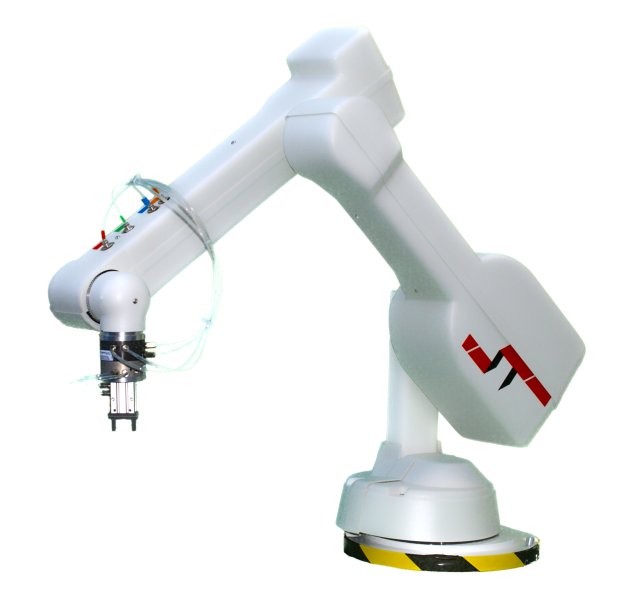 ST provides professional but affordable, easy-to-use, ready-to-go boxed robots. Unpack it, set it up and start programming using our comprehensive manuals. Uniforce Sales and Engineering is an authorized distributor of ST Robotics products.